Every four years we get an extra leap day. Don’t waste this gift of additional 86,400 seconds! This whole series of 29 Days to Diva (#29daystodiva) has been about encouraging you to take control of your career and be proactive. If there is something that you have been waiting to do or have been procrastinating, now is the time to carpe the freakin’ diem. Feeling divalicious, yet? Fantastic. There is this story about Greek soldiers that flies around when people are trying motivate themselves into action. As we know, the Greeks were fierce warriors who traveled great distances to wage battle. The story goes that when Grecian armies landed on foreign soil the commander’s first order was to “burn the boats!” With no boats to retreat to, there could be no course other than success or death for the troops. I am sure that witnessing the ship burning was a very clear motivating force. There could be no other choice. There is only moving forward. My little chickadees, I am not going to do anything as drastic as burn your ships in front of you. However, I am going to give you permission. I am going to give you the permission to do whatever you feel like you cannot do. For some of you that thing is to take bigger risks with your singing. Those of you that need the permission to apply to more competitions, more auditions, more programs – you are allowed. The issues without taking those risks is that you will not have any opportunities to exploit. You will not have any lucky situations to leverage. I am also going to give you permission to think differently about your career. If your career does not take you to La Scala by age 28, that does not mean you failed. If your career leads you to directing or producing or teaching or being a full-time mom; still, you have not failed anyone. Be the most successful and happy version of yourself and you will be a light and empower those around you. Complete your own discernment process. Where do you feel called? Leave all fear and regrets behind with that burned boat. You are allowed. Take the leap. Go out there and make mistakes. Big mistakes and small mistakes. You are allowed. How else will you find out what is possible? How else will you be able to test your limits? I know it is scary to step away from the shore. To see the boat burned – whether it is a well-paying job or being able to go out with your friends anytime you want — and not have the risk pan out is painful but it is worth it. Remember, if you make mistakes – make new ones. You have endured so many challenges during this month. Make your mistakes from a place of preparedness and strong opinion. Do not make mistakes simply because you have not done the work. You are granted the freedom to make mistakes and to learn from them. Go for it. I know just as keenly as you do the incessant need to always look like you are succeeding. There are whole studies done on the comparison trap that is Facebook and other social media outlets. Do not feel like you have to cover up the small blemishes in your career. Everyone has them too. It makes you more human. Beware of balance in your life. Taking a leap is much more difficult from an unbalanced place than from a stable rock. The more creative you are the more risks you will have to take and the more likely that some will fail. Find a place of balance in your life where you are ready to accept those failures. Everyone likes to succeed though too. Spend some time in your life making sure that you can succeed but that you are also helping those around you succeed. I am telling you that you are allowed so you can go tell your colleagues that they are allowed too. Every leap begins with a choice. After 29 days of following challenges and preparing yourself to become a better singer, now is the time to make a choice. Make small choices to consistently work toward a more successful future by practicing and keeping your materials up-to-date. Make bigger choices by ridding yourself or the financial and unhealthy obstacles in your way. Also, commit to yourself and your happiness overall. It will take time to realize the hard work that you have put in to your career. Do not give up. 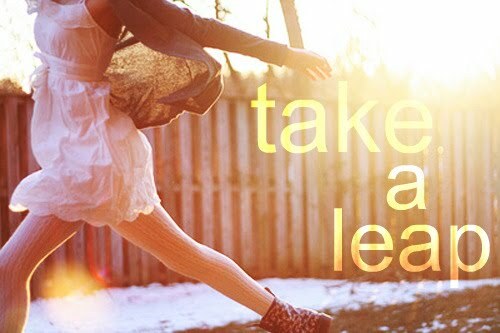 Take a leap! Thank you, Jessica. It has been a pleasure and certainly an eye-opening experience for me. Thank you so much for this whole month of encouragement and clarity. It was perfectly positioned for a time of the year that can be a low point for energy or perspective. Well written, up-lifting, to the point, and full of shared care. In all seriousness, I have really enjoyed being able to write this series so consistently. It has helped me notice the areas in my diva life that could use some work. I LOVE this. Gorgeous writing, m’dear. Thank you, Bridget! I owe you an email, like, yesterday. As I have been reading through the 29 day challenges it strikes me how many of these are cross-related. They work in many fields and disciplines. Who doesn’t need to be told, “You are allowed. Go work hard toward your goals.”?